Your family deserves to live a life of abundant wellness! St James chiropractor, Dr. Riley Klassen offers effective, natural chiropractic care to our community. You may have exhausted other options previously, but Westwood Family Chiropractic’s approach isn’t like anything you’ve experienced before. 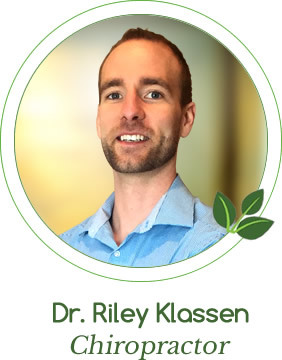 Dr. Klassen’s success rate in helping people get out of pain and live their healthiest lives is due to his focus on full-body wellness. Our techniques include Blair Upper Cervical and Pettibon, which are well known for their tremendous results. Our chiropractic care focuses on finding the cause of your symptoms. We’ll work to eliminate these factors so that your body can heal and operate without pain, sickness or the use of medications. By addressing the primary cause, we’ll correct the issue and allow you to enjoy great health. Live pain-free and enjoy a healthier future. Experience what our chiropractic care can do for you. Schedule your appointment online or contact us today to book your time! I had IBS since the birth of my second child. That was 13 years ago. Every aspect of my life was affected. I have been coming for 2 weeks and my IBS is completely gone! My mood is better and I can finally go to sleep and feel rested! My drooping eye is now normal and my headaches are gone! Life is so much easier now! 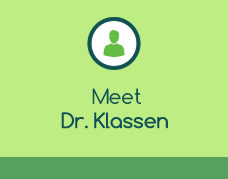 Dr. Klassen and his team are extremely knowledgeably and are here to help you! Come in and see for yourself! I would have back pain whenever I was at school, especially in foods class. Bending forward to cook or clean during the class made it worse. I also got nose bleeds constantly and the doctors said they didn’t know why they were there. I’m happy to say that after getting my spine corrected not only do I not have my back pain anymore but my nose bleeds are gone! I highly recommend coming to the clinic! I had tried many things before coming into see Dr. Klassen but only got temporary relief. I met with Dr. Klassen and he found out exactly what was causing the migraines. We started correcting the cause and I’m excited to say that my migraines are gone! My back pain is gone and I don’t get as sick as often! Everything feels significantly better. This has significantly improved my health and it can do the same for you! Low Back Pain, Sciatica, and Headaches Gone! I had such severe low back pain and sciatica that I could barely move. If that wasn’t enough I also had headaches. I have been coming to Dr. Klassen for 2 months now and my pain is gone! My low back, sciatica and headaches are gone! I also have more energy! I am now able to pick up things effortlessly, walk the dog, and I haven’t missed a day of work since I started coming to the clinic! Give this place a try! I have been going to chiropractor since I was 17. Before my family took me to chiropractic I had eczema and I found that there was no answer in the medical system. They just wanted to put me on medications. I have been on and off chiropractic since then but now I realize that this is something I need to do for life! I am 60 on no medications, my eczema is gone and I am hopeful for the future! You need chiropractic in your life! I was tired, overweight and had no desire to even move. I didn’t sleep very well and a lot of stress came along with it. My husband dragged me to come into the clinic with him and it was the best thing I’ve ever done! I now have more energy, I sleep better, I have lost weight, My flexibility is better, I am less sick, my muscle cramps went away, and I best of all I can now play with my grandson! I had nonstop pain that never went away no matter what I did. I also had sinus issues and I was dizzy all the time. The medical profession did all kinds of tests including MRI’s. It got so bad I was missing work and it was difficult to enjoy life. After coming to see Dr. Klassen and his team I am happy to say that I am pain free, my sinuses are normal, I am no longer dizzy and I was able to get off my medications! You will not regret coming to the office! Before coming into see Dr. Klassen and his team I had back pain and I was on a few different medications including one for heartburn. I wasn’t sleeping well and edgy because of it. I tried multiple other things but nothing really worked. I have seen great changes since starting in the clinic. I’m off my medications, I’ve lost weight, and I have more energy! What isn’t there to say, it’s been great! You need to come in and see for yourself! This is a must do! I had high anxiety and sleep deprivation walking in to see Dr. Klassen. I would function on scattered 5 hours of sleep. I have been coming to see Dr. Klassen and his team for just over a month and my life is completely different! I am now sleeping 8 hours a night, my energy has gone up, my grades have improved, and no more panic attacks! I now look forward to social situations and I feel that I can reach my potential in all aspects on my life! You don’t need to be the typical person in pain to see a chiropractor! I had headaches and low back pain every single day. I tried to take medications but they didn’t really work or help. After only coming for a few weeks all my pain is gone! I haven’t had any headaches and my back is gone! Work life and home life is much better! I highly recommend coming to see Dr. Klassen and his team! I had a herniated disc and was on track to see a neurologist to schedule me in for a surgery. I wasn’t able perform any daily activities without pain. Dr. Klassen was able to find exactly what was causing the herniated disc and the low back pain. We started to get it corrected and after coming for one year I have been able to cancel my surgery and get my quality of life back!! I am active again and can now go for walks with my wife! !